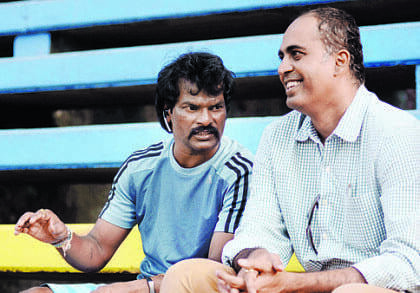 colleague Dhanraj Pillay, the Air India hockey team coach. “I enjoy watching all kinds of sport, but today I’m here for Dhanraj,” Kulkarni, who is the founder and director of the sports education institute IISM (International Institute of Sports Management) said yesterday. “We conduct our courses at the nearby Jai Hind College and I’ve invited Dhanraj for an interaction with students next week. Dhanraj has a wealth of sports knowledge and will make for an interesting mentor,” said Kulkarni. Pillay was happy to oblige. “It will be an honour to share my experience with youngsters,” he said, before quickly adding: “but that’s next week. My focus now is on tomorrow’s final. Army are a fit, fast side. We’ll have to use all our experience to slow them down and beat them with our skills.